The fundamental principle to put others before ourselves is within the fabric of every military community. However, the same selfless traits admired about our service members and veterans can contribute to the challenges that make it difficult for them to ask for help when they need it. According to research published by RAND Corporation, service members who deploy to combat areas have a greater risk of mental health issues with 44 percent having difficulty adjusting to civilian life and nearly half experiencing strains in family life. Additionally, the families, especially caregivers, of service members and veterans, may face mental health risks of their own. Addressing mental healthcare should always be a priority and never treated in the same regard as most military members treat minor physical wounds by ignoring or pushing it aside to deal with later. Help is available now. Seeking help does not make you weak. The first step to healing is making the decision to seek help. Here are three practical ways military members and their loved ones can find the right therapy and maximize their mental health treatment. Find a professional who has formal training in the area you are seeking help. From my perspective as a mental health provider, I have seen how it can be helpful for many military members to have a provider who comes from a military background. Do you prefer someone who is more active and verbally engaging, or would you like someone who is more reserved? Does the provider have training in treating couples, families and/or children? Do you want someone from your culture? Does the provider have training in practices that research has demonstrated to be effective? Always remember it is your therapy, and you have the right to ask questions. 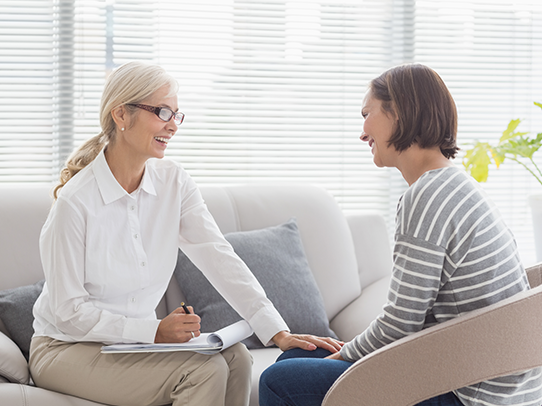 The questions do not have to be excessive, but asking questions about the types of treatment or assessments you receive is important because they give the provider an opportunity to provide further clarification on a topic and provide direct feedback. Mental health treatment works better when you take an active, informed role in the process. Be your own advocate and ask questions. Lastly, but most importantly, remember that just because you go to therapy, huge changes rarely happen overnight. Healing can take time, but every baby step toward success is still progress. Work with your provider to develop a plan of action, and be sure to address any issues that may come up along the way.